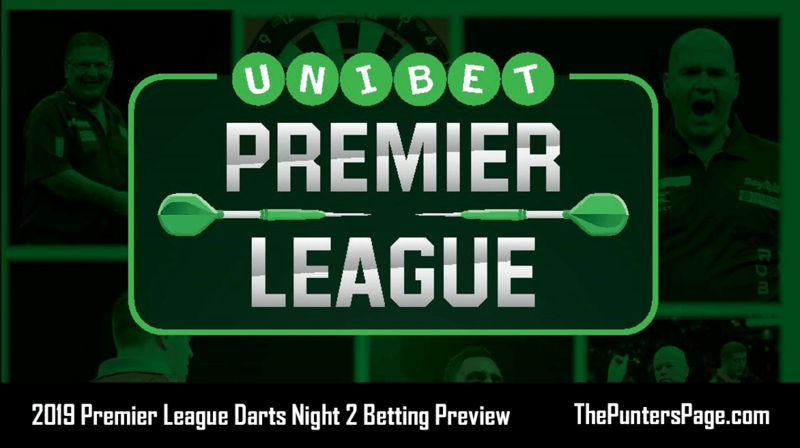 Darts expert Tom Beresford (@Tomsportsjourno) previews night one of the 2019 Unibet Premier League and provides us with his best bets at the Utilita Arena in Newcastle. 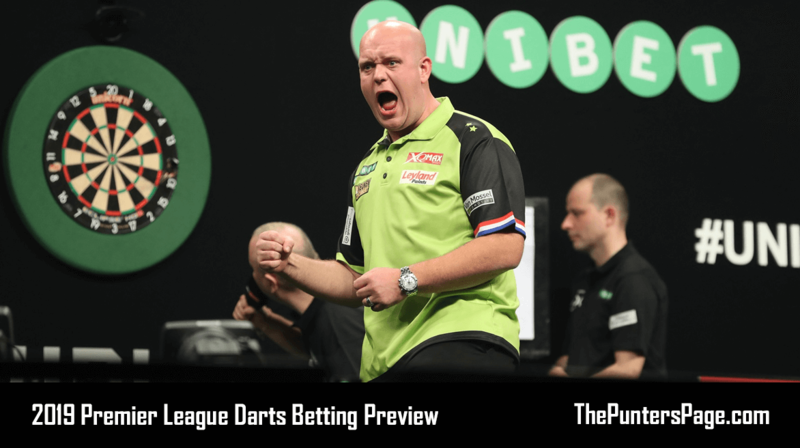 Ahead of the opening night of the 2019 Unibet Premier League at the Utilita Arena in Newcastle, we have some high-quality battles in prospect. As James Wade and Raymond van Barneveld lock horns for the 52nd time, the spoils have been shared quite evenly over the years. Wade was victorious in their last meeting at the World Series of Darts finals which Wade went on to win the event, but RVB has won their previous two meetings in the Premier League. There’s been some scrutiny on Van Barneveld’s selection, but the Dutchman always seems to come alive in the Premier League, he’s the fan’s favourite, and he’ll be looking to go out on a high. I can see Van Barneveld edging out Wade in this one, you can get an RVB victory at 7/4, which for me is great value. There really could be fireworks in this particular clash in Newcastle on Thursday evening. Both players are thoroughly exciting to watch when in full-flow, and both players aren’t shy when it comes to expressing their emotions on the big stage. In terms of previous meetings, Gurney’s failed to record a win over the Welshman in their previous four meetings. For the Grand Slam Champion Price, he’s been out-of-sorts since scooping the £110,000 prize for clinching the Grand Slam title in controversial circumstances. With first round exits at the Players Championship finals, the World Darts Championship and the Masters, Price is really struggling to find any sort of form. The fiery Welshman came under scrutiny for his ‘antics’ during the Grand Slam. Price received a fine of £21,500 and a suspended three-month ban, and the Welshman was certainly more reserved in his celebrations at th Masters last weekend in Milton Keynes. I really feel that Daryl Gurney can end his drought against ‘The Iceman’ and secure two points on the board. Gurney is available at 11/8, and it appears that the bookies are undecided as to who will emerge victorious as you can get 9/5 for a Gerwyn Price win. Sparks always fly when Michael van Gerwen and Michael Smith go head-to-head, and Thursday’s clash in Newcastle should be no different. 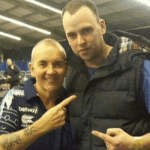 The pair contested the Premier League final and the World Darts Championship final. Despite Van Gerwen being victorious on both of those occasions, Smith has really upped his game in the past 12-18 months, and there’s definitely a feeling that Smith is learning from every defeat to the World no.1. The St Helens ace had a superb Premier League campaign in 2018 as he reached the final. As for Van Gerwen, 2018 was a fantastic year, and with eight victories in his last ten meetings with Smith, the World no.1 will be supremely confident of getting of to a perfect start on the opening night in Newcastle. Van Gerwen is the heavy favourite at 8/15, and if you fancy an outside punt, Smith is great odds at 9/2. I’m going for a Raymond van Barneveld victory in Thursday’s opening match. History suggests that Van Barneveld loves this event and he always comes alive in the Premier League. RVB has emerged victorious in his two previous meetings with Wade in the PL, and 9/5 is excellent value. Daryl Gurney’s record against Gerwyn Price is something that he’ll want to change on Thursday evening in Newcastle. But, Price has struggled for any sort of form in the past three televised events as he’s crashed out at the first hurdle in the Players Championship Finals, the World Championship and most recently the Masters. I think that Gurney will emerge victorious in this one, and a price of 11/8 is very inviting. Michael van Gerwen will certainly fancy his chances of recording a fourth straight win over Michael Smith, the pair contested the 2018 Premier League final, but Van Gerwen breezed to an 11-4 victory on that occasion. Smith’s form in 2018 has been excellent, and we’re expecting a high-quality affair as we always get when these two ‘do battle’. Of course, Van Gerwen recorded his record-breaking 123.4 average against Michael Smith in Aberdeen back in 2016 in a 7-1 victory over Smith. I’m going for a Michael van Gerwen victory which is available at 8/15.